Windows 10 has repeatedly rolled back drivers for older graphics cards back to their "Microsoft Basic Display Driver". Which is newer than what most older cards have, but is also garbage and doesn't support OpenGL. That might be your issue. "Choose your causes carefully, if not, if you try to champion every good cause that comes along, you'll wear yourself out, at best, and worse, become a dilettante -- an ineffective dabbler. Pick a few that are the most near and dear to you, and give them your all, trusting that others are out there handling the other causes with equal fervor." In the past, I'd say in Windows Update, click on details and uncheck the Microsoft Basic Display Driver, then right click the update and choose Hide Update. That would knock it out until the next time Microsoft revises the driver and pushes it under a new KB Article Number to make it reappear as a new download. Under Windows 10, that's not possible. Press Start and type "Device Manager". In Device Manager, right click on your video card, go to Properties, then the Driver tab and "Update Driver". Pick "Browse my computer for driver software", then "Let me pick from a list of available drivers on my computer" and see if Windows 10 replaced the old drivers with the Basic Display Driver or not. If it hasn't, re-select your good one and click Next to bring it back. If the Microsoft Basic Display Driver is the only option, I'd download the driver you know that works from your manufacturer and reinstall it that way. Unfortunately, you'd have to reinstall it every time Microsoft gets a hair up its behind and replaces it again. The 'go to hospital' button in the defeat dialog is now functional. I must have missed the part where someone explains how you can loose health in PChat. Can someone direct me to the right post? A hero isn't defined by LVL or INF, but by the success of one-hitting a L50 AV and live to tell about it! Here are most of my toons. Knock on the wrong door during Trick-or-Treating. If you throw yourself off a building, and hit the ground, does that not reduce your HP down to one? Fall damage is not on the development timeline for Paragon Chat as far as I know. So, just what content can we put into an addon-blah.pigg file? How does content in an addon interact with pre-existing content? Judging by addon-map-pack.pigg, the contents of the addon currently replace or override the pre-existing versions? If multiple addons are loaded, what order are they loaded? Anything you would put in the data folder as well as files that aren't normally loaded from the data folder, like geobins. How does content in an addon interact with pre-existing content? Override. The game client only sees the last version loaded. All the files in all piggs are loaded (you don't need to ensure some things are loaded before others), but only the last one loaded is used. Piggs in the game client's piggs folder are loaded first; then ParagonChat.pigg, finally any addon-*.pigg files in alphabetical order. Looks like Leandro answered it. The functionality is extremely barebones and was quite literally thrown together on Friday as a stopgap measure before the stream. Needed to be able to publish the files for the map pack without having to put them multiple places or in the Issue 24 files (which I'm trying really hard to treat as 'read only'). Standard container format like ZIP so people don't need pigg packing tools. UI for players to be able to toggle addons on/off before launching the client. Ability for addons to supply a manifest file and take advantage of the built-in update check/patching system. Author control of dependency and load order w.r.t. other addons. Ability to modify files like zone.cfg in a way that multiple addons can coexist without stomping on each other. The important requirement at some point will be a way to merge .bin entries without replacing the entire database. That's the real stickler when it comes to hosting multiple addons of custom content. Mod makers should only be including defnames or tricks or whatever for their custom content rather than replacing the entire defnames (or whatever) database with their own version of it. I had Guy Perfect's "Classic Atlas Park" mod still installed when I installed the map pack, and the "Classic Atlas Park" defnames.bin played merry havoc with Kallisti Wharf. I deleted all of the "Classic Atlas Park" files, but even if I packed them up as an addon, it would still be a case of choosing one addon or the other to be useable at any given time because each of them expect to have their own version of defnames.bin installed when, as far as I can tell, the only custom element "Classic Atlas Park" actually needs is the Atlas statue defname and object library entries. Yes, some new hooks will have to be created for specific elements that can be added/replaced. PChat already does some of that on the fly -- it generates a new costumes.bin with some of the store requirements removed, for instance, and adds a few new things to fxinfo. That ties in with some other work involving a more flexible database format and a shard requirement system to ensure everybody sharing the same virtual space has the same extra content enabled, but there are pieces of it that can be rolled out in advance of all that. @slickriptide If you link me to this 'classic Atlas Park' mod, I'll look at what it needs and add it to the map pack. I want to place nice with others! He intended it to show off how Icon could do custom maps. 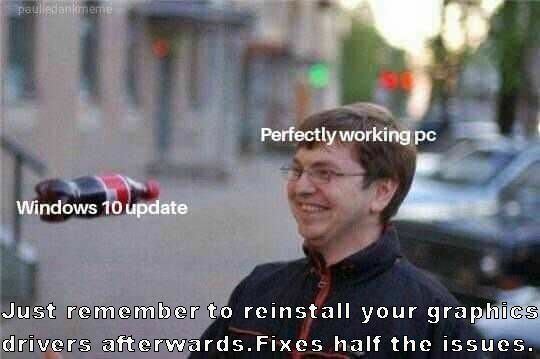 It worked just as well with the patched game client and Paragon Chat, except for the whole client/server desync thing. With this new addon tech, the desync issue goes away.